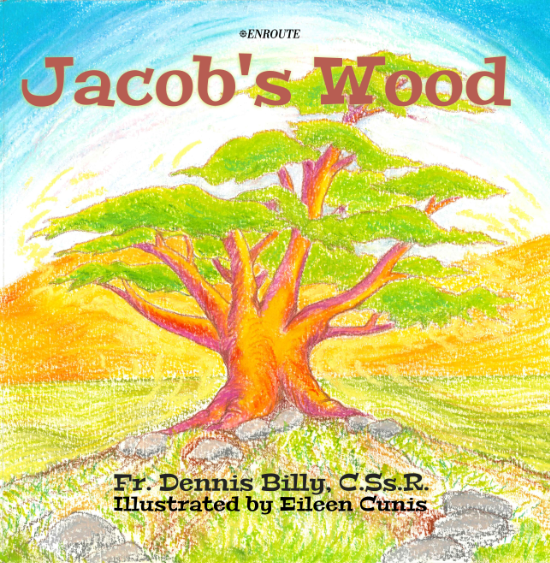 Jacob’s Wood takes place in ancient Palestine during the time of Jesus. It is the story about a farmer named Jacob, his fondness for a certain tree that grew on his land, and how, because of an act of kindness on Jacob’s part, that tree was graced by God to follow Jesus throughout his earthly life and beyond. 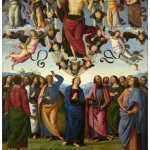 Listen to "Episode 31: Christine Mooney-Flynn interviews Fr. Dennis Billy, C.Ss.R., and Eileen Cunis (December 30, 2018)" on Spreaker. Rev. 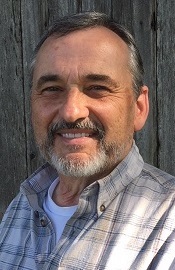 Dennis J. Billy, C.Ss.R. 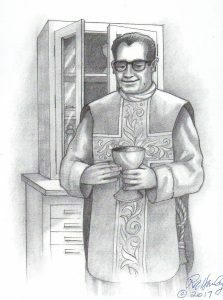 is professor emeritus at the Alphonsian Academy in Rome. 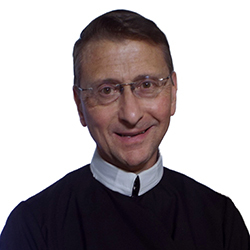 The author of many books and articles, he is a popular spiritual director and active in his order’s retreat ministry. This is his first children’s story. 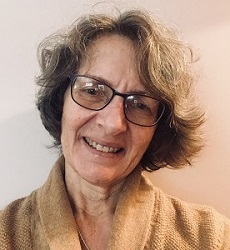 Eileen Cunis, a convert to Catholicism, is a wife, mother, grandmother, and life-long artist living in New Hampshire. 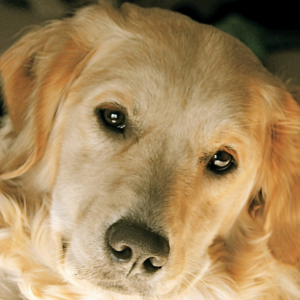 Choosing Joy is the charming story of a rescued Golden Retriever named Joy. On a deeper level, the story extends a gentle invitation to readers, both young and grown-up, to “choose joy” in their daily living. Choosing Joy is a winsome reminder that ”joy” may be right in front of our eyes. In Choosing Joy, Nancy Olson looks through a spiritual lens as she merges her writing skills with her photography. Nancy holds a B.A. in English from Webster University, St. Louis, and her photography has appeared in corporate collateral materials as well as on magazine covers and in calendars. Nancy and her husband live in St. Louis where she is an active member of Community Bible Study. With charming pictures and simple words, Hunter Finds a Home tells the story of a homeless cat that wandered into the backyard and the lives of a family of dog-lovers. At first unwanted and unwelcome, the young cat is gradually embraced by the family and returns the favor by teaching some valuable lessons. 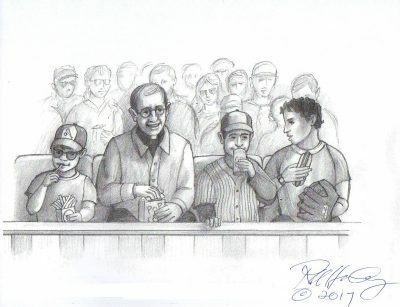 A story for all ages. 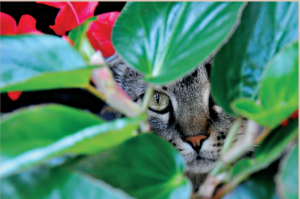 In Hunter Finds a Home, Nancy Olson looks through a spiritual lens as she merges her writing skills with her photography. Nancy holds a B.A. in English from Webster University, St. Louis, and her photography has appeared in corporate collateral materials as well as on magazine covers and in calendars. 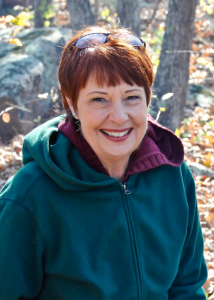 Nancy and her husband live in St. Louis where she is an active member of Community Bible Study. 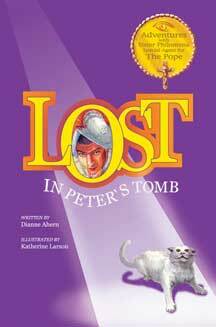 In this children’s mystery, an experienced pastor finds his special chalice missing. Senior Server Brian Jacobs has been serving at daily Mass for five years. 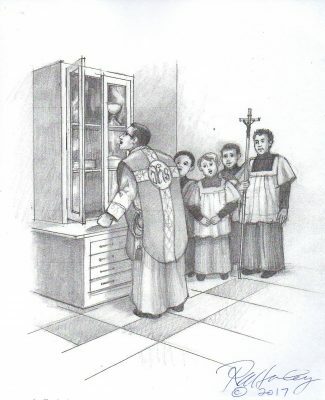 He understands the importance of the chalice for Mass and for Fr. Leveque, the founding father of St. Francis of Assisi Catholic Church. Brian’s own father encourages him to do his part to help the pastor. 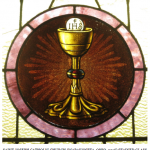 Where is the 100-year-old chalice? 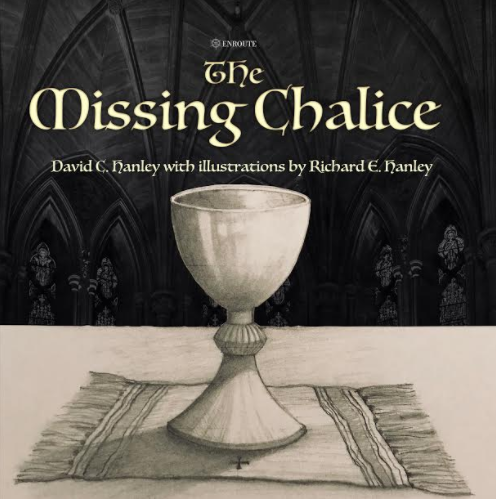 Forgiveness is the main theme of The Missing Chalice mystery. The search party to find the chalice includes a good priest, an altar server, an organist, other men in the parish, and a police chief. 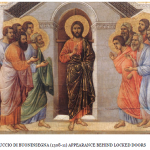 The priest forgives the thief or thieves. 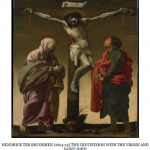 For a real-life story about a missing vessel and the miracles that sprung from it, check this out about a Eucharistic miracle in Siena, Italy, back in 1730! 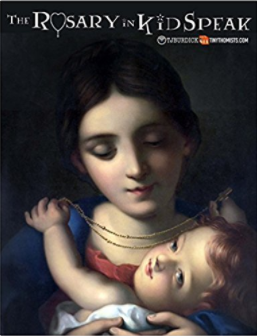 Interview by Carlos Bersabe of Mary Hanley, wife of Catholic author, David C. Hanley. Recorded on January 16, 2018. Scheduled to air on WCAT Radio on January 25, 2018. 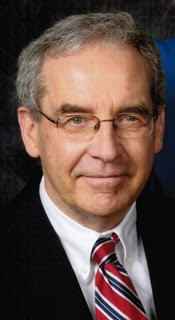 David C. Hanley had over 40 years of experience as a clinical social worker and a marriage and family therapist. At age 71, he passed away at home on July 6, 2018. David led a spiritually, emotionally, and physically balanced life and dedicated himself to helping others do the same. 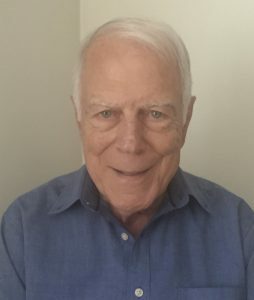 With his Master’s Degree in Social Work from the University of Michigan, passion for reading and continuous growth, he served over 40 years as a clinical social worker, marriage and family therapist, and family business consultant. David was a founding member of Project Rachel in the Diocese of Grand Rapids. 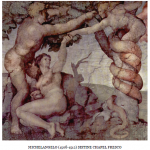 David’s strength was rooted in his Catholic faith. He enjoyed jokes and was quick to laugh. His joyful presence will be greatly missed by Mary Lucia, his wife of 41 years, their four children and spouses, nine grandchildren, and many others. 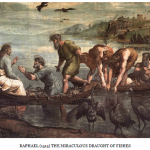 Richard E. Hanley’s passion for religious art became his career when he established Omnibus Studios, Inc. Richard’s original designs have been used to create beautiful stained glass windows for many churches. 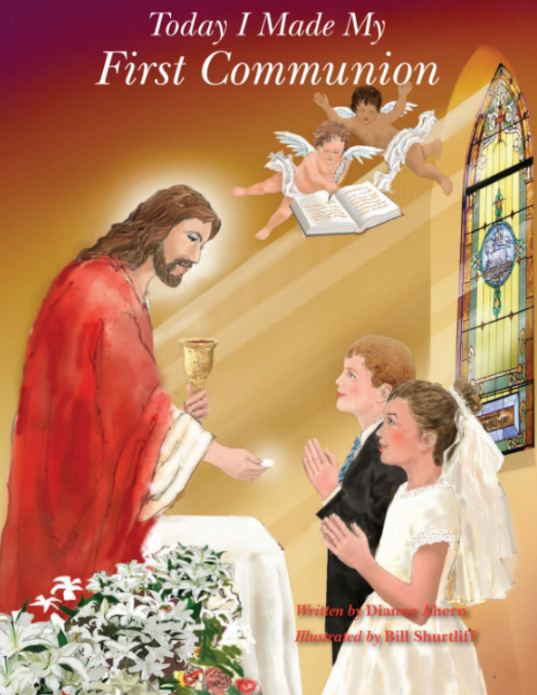 Catholic children should have a basic understanding of their faith before receiving the sacraments of reconciliation and communion. 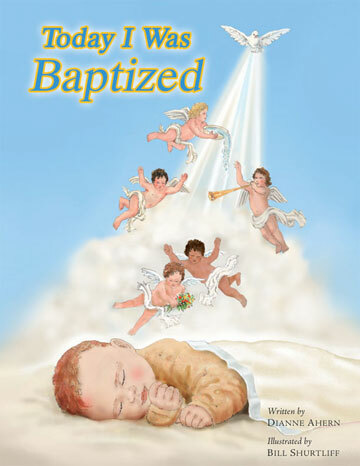 The goal of this book is to help young children to understand the Catholic religion and to prepare them for these sacraments. 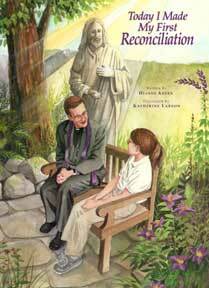 Order your copy of this 36-page story/reflection book in full color today for only $7.50 plus shipping! Want to read it more than once? Or give away a community set? Get a box of 18 for only $12 each plus shipping! Total $216 for the books and $20 for the shipping = $236. Get your box today! 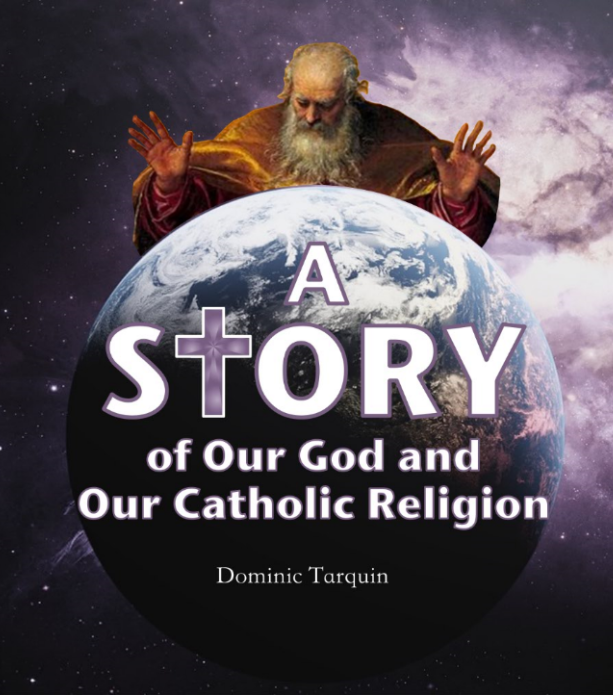 Dominic Tarquin has served in a variety of Catholic Church organizations and volunteer services, including a Christian prison ministry, and has produced various Catholic writings. This is Dominic’s first children’s book. Book 4 of the series! Even nuns get to take a holiday! After all the investigations Sister Philomena’s conducted this summer, she needs one. 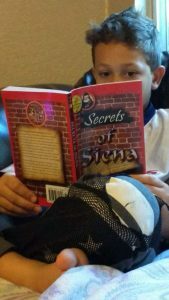 In this adventure, Sister Philomena, her niece, Delaney, and nephew, Riley, are invited to Siena, Italy, for the famous Palio horse race and festival. 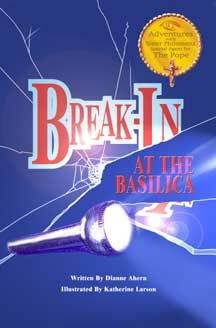 Their vacation plans abruptly change when they stumble upon mysterious documents while visiting the childhood home of St. Catherine of Siena. It’s possible they have found a centuries-old letter written by Saint Catherine along with a ransom note addressed to the Pope. 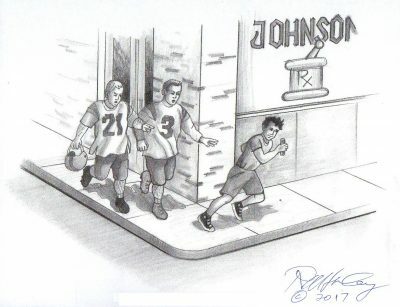 Of course, they must investigate! 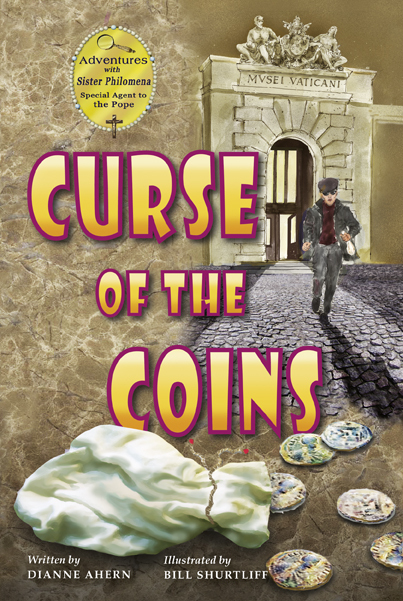 Their search for answers takes them on a fast trip across Europe to Avignon, France, and the famous Palace of the Popes. 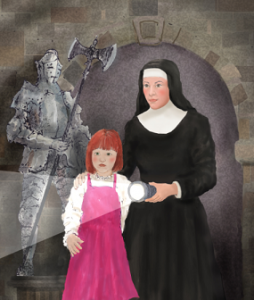 In the course of their investigation, the children learn about Saint Catherine and the history of the Church in the 1300s when the papacy was forced to flee from Rome to Avignon for safety. 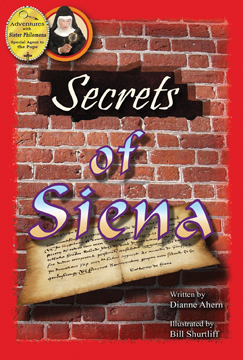 Secrets of Siena is the fourth book in the series, although they need not be read sequentially. 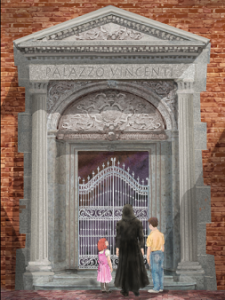 The adventure begins when Sr. Philomena announces to her nephew and niece that Mother Superior has given her permission to take them on a holiday and that they will be staying in an apartment right above the main Piazza del Campo in Siena. On arriving at their destination, the three are greeted by a man dressed as a jester in the spirit of the festival who takes their bags for them. And that’s just the beginning of all the wonderful new sights, sounds and tastes they find in this strange and new city. As they are experiencing Siena, a mystery begins to unfold around them.